Part Two: Fill 3 Easter Baskets for $20 or Less Per Basket! In our last blog post we let you know we were working on a bit of a candy project, which like so many things at Blair, turned into a competition! After all the entries were in, we built the following ‘virtual Easter basket.’ It’s up to you to make our example a reality, of course! Below is everything you’ll need to fill 3 Easter Baskets with oodles of candy awesomeness and keep your costs below $20 per basket. What do you think? What would you skip or add? Let us know in the comments! Non-Candy Supplies You’ll Need: Easter baskets, decorative Easter grass (basket filler/foundation), Easter or Spring-themed small sandwich/snack bags. Note: These small plastic bags can be found at stores like Dollar Tree and Target, and are often put out by major brands such as Ziploc. 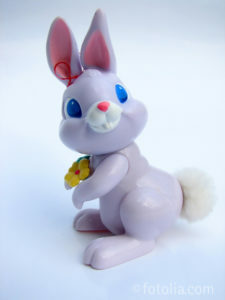 Easter grass can also be found at stores such as these. How To Arrange Everything: Once you’ve filled your Easter baskets with straw and have them ready for the fabulous fill, gather together all your bags of unwrapped candy (jelly beans, gummi fried eggs, Whoppers Eggs and gummy butterflies.) These are the candies you’ll be putting into the Easter-themed snack baggies for presentation and cleanliness’ sake. All of the other candies on the list can be placed right in the basket as they are individually wrapped. Just for fun, I like to ‘drop’ my Hershey Kisses in last, after I’ve filled the basket with the larger pieces. They tend to fall about nicely, filling in any gaps, making your already awesomely-full basket appear even more full! 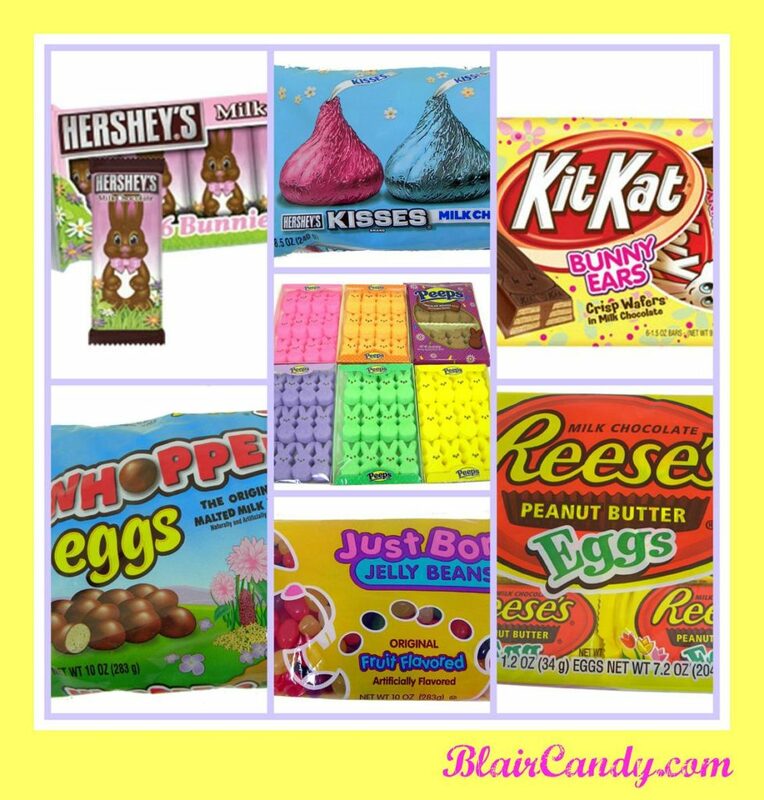 Part One: Buy Candy in Bulk for the Biggest, Sweetest Easter Baskets! There’s no getting around the fact that putting together a truly special Easter basket can be a costly venture. While individual pieces of candy can very much be an affordable everyday indulgence, when the task at hand calls for an abundance of sweets and treats, the total tally can be surprisingly high. Luckily for you, we came up with a super simple way to stretch your candy dollar further without leaving the basket with more Easter grass than goodies. And that way is to buy candy in bulk! Buying candy in bulk makes the most sense for those that will be filling multiple baskets. If you only have one child and you aren’t making a basket for yourself or someone else, it might not be the best fit for you. That said, it can still work out quite well if you like to keep a variety of candy on hand for your own enjoyment throughout the year. Sandwich bags go a long way toward keeping candy fresh!